Launching a technology startup is an exciting time filled with the promise of the future. As you embark on this adventure, it is critical to establish a strong legal foundation to protect the business and its intellectual property (IP). Following are four types of legal agreements that every tech startup should consider putting in place to clearly define a founder’s legal relationship to the company, to other founders/stockholders, and to outside parties with whom you conduct business. Corporate governance: Generally, absent an agreement to the contrary, the majority owner(s) of a company controls the company because they elect the board of directors, which in turn makes major company decisions and appoints the company’s officers. A stockholders agreement often addresses how the company’s board of directors is composed, for example permitting specific stockholders to designate certain directors. Special approval requirements: The agreement may also provide certain groups of stockholders with specific approvals involving significant corporate actions, such as approving the sale of the company. Restrictions on transfer of stock: The agreement typically restricts the transfer of shares (other than in certain limited circumstances) to help ensure company shares remain with the people committed to or involved in the company’s operations. “Drag-along” rights: The agreement may require minority stockholders to sell their shares or vote in favor of an acquisition transaction. Dispute resolution: The contract can also include a conflict-resolution plan that can help prevent disputes. Technology Assignment Agreement, which assigns IP to the company. Employment Agreement with Invention Assignment Clause, which makes it clear that as a condition of employment, all work done by the employee within the scope of his/her employment is assigned to the company. Should the employee leave before executing the assignment agreement, the employment agreement with the assignment clause acts as a safeguard to allow the company to retain the IP. When using vendors or contractors, it is important to have a provision in the agreement that assigns any IP developed during their engagement to the company as well as any IP that is related to the engagement. The IP may include software code, graphics, logos, marketing materials, or simply ideas. The agreement should be signed as soon as the vendor or contractor is hired. Whenever possible, startups should use agreements with third parties that can ensure consistent agreement terms with all third parties. All written agreements that impact the ownership and confidentiality of your IP are of great significance – including agreements that document the sales of your products or services to customers. The same IP ownership issues as vendor agreements generally apply to customer agreements. In addition, it would be wise and to the extent possible, get the customers to assign any modification, improvement or changes to your IP that they are using. 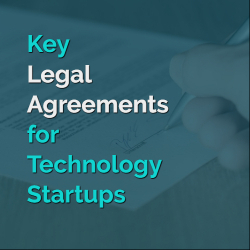 Having these four legal agreements in place will go a long way to helping the tech startup avoid many of the most common legal pitfalls that startups encounter, and will help position the business for future investment, growth and long-term success. 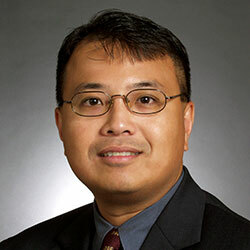 Chinh H. Pham leads Greenberg Traurig’s Emerging Technology Practice, and is co-chair of the firm’s Intellectual Property Group in Boston. He is a registered patent attorney with particular experience in the strategic creation, implementation, and protection of intellectual property rights for high technology clients. Chinh can be reached at phamc@gtlaw.com. 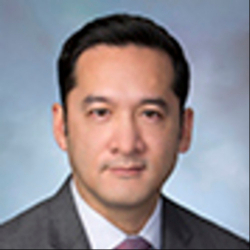 Fiorello “Rico” Vicencio Jr. is a shareholder in Greenberg Traurig’s Corporate & Securities Group. He focuses his practice on representing private and public companies, as well as venture capital and private equity firms, in a variety of business and financial transactions such as mergers and acquisitions and securities offerings. Rico also plays a lead role in the firm’s initiative focusing on emerging growth companies based in the D.C. area and nationwide. Rico can be reached at vicencior@gtlaw.com.